To the east of the basilica is the Piazza di San Pietro (St. Peter’s Square), site of the papal audience with Pope Francis. As Pope Francis was in Rome during our visit, a Papal Audience was held on Wednesday (our second day in Italy) and we, as well as other pilgrims and visitors, took this golden opportunity to see the successor of the Apostle Peter. The Papal Audience was scheduled to start at 10:30 AM (sometimes in summer, due to the heat, they may start the audience at 10 AM instead) but there were already large numbers of people queuing when we arrived at 9 AM. Security opened between 8 – 8:30 AM and we needed to pass through security scanners similar to those at the airport to access. Near the front is a seating area for those with tickets but, to get a good seat, it is still a first come first served basis. We were not able to get a ticket in advance but, as we arrived early, we were able to get fairly good seats facing the podium. Shouts of joy heralded the arrival of the Pope in his Popemobile which circled the square, stopping occasionally for the Pope to kiss babies handed to him by his security from parents as well as wave to the crowd. Upon reaching the podium, he alighted and took his seat. The Pope spoke in Italian, which I didn’t understand, but I gather it consisted of small teachings and readings. He then made greetings in each language, including in Pilipino. At the end of the 1.5-hour Audience, the Pope prayed, together with the attendees, the Our Father prayer in Latin (said to be normally printed on the back of the Papal Audience ticket). At the end of the prayer, the head of the Catholic Church imparted his Apostolic Blessing upon the crowd. Papal Audience: Papal Audience tickets are free. If you need less than 10 tickets, you can normally pick up tickets, without a reservation, from the Swiss Guards at the “Bronze Doors” located just after security at St Peter’s Basilica. You can pick up tickets the day before the audience, after 3 PM until 7 PM (summer) until 6 PM (Winter). You can also pick up tickets on the day of the mass, from 7 AM until 3 PM. You must collect your tickets one day before (not sooner) for the papal audience/mass with the pope subject to availability without a reservation. If you prefer to pre-book tickets and If you need more than 10 tickets, you will need to make a reservation in advance (https://www.vaticantour.com/images/Vatican_Ticket_request.pdf.). Tickets should be picked up from the Vatican Offices located at the Bronze Doors. Website: www.papalaudience.org. Why do I travel? Over three decades ago, you wouldn’t imagine me traveling the way I do now. Even during my Holy Week school break, when just about everybody was out in the provinces having a great 4-day vacation, I was spending mine at home. So why do I do it? For many, it’s to fulfill a dream of seeing the world, for others it’s for education, earning a living, to prove to oneself you can do it or simply just for the hell of it. I did so when I was already married, and a father to boot, and I did it for the most fatherly of reasons – to show my autistic son Jandy the beauty of this country and world, through travel and immersion, and not imprison him to the confines of a home, school or, worse, a mental institution. Contemplating my future on the Rockies of Mt. Makulot. Who would have thought I would be a writer much less an author? October 27 to 29, 1999 would be one of the few times father and son would be traveling alone, this time on a 3-day odyssey to circumnavigate Taal Lake, visit the Southern Luzon heritage town of Taal and culminate it with a climb up the 1,145 meter high Mt. Makulot, Batangas’ highest mountain. Being an architect, first and foremost, our visit to Taal town brought me, up close and personal, with some of the country’s Spanish and American-era vernacular architecture (churches, ancestral houses, historical buildings, etc.) and the need to preserve them as part of the country’s patrimony so that future generations would live to see and feel them the way we see and feel them today. I also got to experience, firsthand, the deep religiosity of the Filipinos. A somewhat scary experience was our overnight stay in the town’s Casa Punzalan, an ancestral house converted into an inn. We were the only boarders that night and the caretaker left early because he was feeling sick and locked us within for security, with our permission, of course. That wasn’t the scary part. The ghosts of Taal’s past being where we were was. Thus, it was a great relief when the sun came out that morning and the caretaker unlocked the inn’s main entrance. The climb up the campsite on the Mt. Makulot’s shoulder, on the other hand, introduced us to the joys of mountaineering and camping. It also showed me how unfit I was, huffing and puffing, as we went up the mountain, more so when I saw a woman carrying a heavy load of long bamboo stems and a man laden with two backpacks and an icebox full of soft drinks, all slung on a pick. We never made it, past the campsite, to the peak that day, it already being very late in the day to do so. However, we did so, four months later, on another climb with Jandy plus four other companions. Casa Punzalan. We stayed at the second floor corner room and survived the night here. After two more PDI articles, I had a much longer stint as a travel writer for TODAY (now Manila Standard TODAY). It was during this time that I decided to raise the bar a little higher and add additional feathers on my hat by becoming an author – compiling my four published PDI and 28 TODAY travel articles into a book entitled “A Philippine Odyssey: A Collection of Featured Travel Articles,” published by New Day Publishers in 2005. From all these firsts, came four more travel books on Boracay and Philippine churches (a favorite topic of mine), national shrines and museums; copy editing stints with two publishing houses; development of a travel website (Biyahero: A Philippine Travel Portal, www.biyahero.net) with 3 other friends, my own travel blog (B.L.A.S.T. – Benjie Layug: Adventures of a Savvy Traveler, www.benjielayug.com), more travel writing stints with different newspapers (I’m now with the Business Mirror) and magazines (COLORS, Business Day and 7107 Islands Magazine); lots of media invitations to cover and promote Philippine travel destinations; and now, an urge to travel, here and abroad, when the opportunity presents itself. All these because a concerned father wanted to see his son break out of the prison we call autism. At such a young age at that time, my son has packed in more adventure than what most people would experience in their lifetime. Today, though still classified as autistic, my wife and I have seen him graduate, one small step at a time, from grade school, high school and, finally, college where he finished two degrees – Multi-media Arts and Tourism Management. He sometimes joins me in media familiarization tours as my photographer. Talking about a life-changing experience, that 3-day moment in time when a father bonded with his son changed my life forever. Today, Holy Weeks are no longer stay-at-home experiences. From Tibiao Fish Spa, where we freshened up, we proceeded, come evening, to Tibiao town proper which was in fiesta mode, it being the Maninihon Festival, a celebration of the town’s pottery industry. We first proceeded to the home of Tibiao Mayor Gil B. Bandoja where we had a hearty 10-course dinner. After dinner, we all proceeded to Tibiao Plaza where we were to watch, together with students of UP Visayas (Miag-ao, Iloilo), the Istorya Kanta Kinaray-a Night, a showcase of original Kinaray-a music (OKM). On hand to perform was OKM pillar Dante M. Berong, a Sangguniang Panlalwigan (Provincial Board) member and multi-awarded Kinaray-a music composer and artist, who is dubbed as “Panay’s King of Festival Theme Songs.” During the Philippine Independence Centennial celebrations, his composition “Mabuhay ka Pilipino!” was chosen as the official theme song on January 23, 1997. Dante, who started writing song in the 1970s, got his inspiration to sing Kinaray-a songs from Mr. Bernie Salcedo, the “King of Kinaray-a Music.” Bernie started the trend of composing Kinaray-a songs way back in 1969 when he was just a teenager. Aside from Dante, Bernie also influenced OKM artists Sammy Rubido, Mark Quintella, Noel Tabo-Tabo, Noel Alamis and Edmund Infante. Kinaray-a music, heard not only in houses in Antique but also in Iloilo, has grown to an artistic proportion that Antiquenos have learned to appreciate and enjoy. By stressing the importance of love of Antiqueno culture and its people, Dante and other OKM artists have lifted OKM to the next level. Accompanying Dante on stage that night are the talented dancers of UA (University of Antique) Teatro Burulakaw Dance Troupe who seemed to be having fun, even as they provided rhythm and movement to Dante’s songs. A performing artist invited to various events and places, Dante’s great performance and enthusiasm during the Istorya Kanta Kinaray-a Night easily won the crowd as well as us as he sang songs from his albums (Antique, Antiqueño and Mauli Gid Ako Sa Antique) including Katahum Kang Antique, Araguy Inday and Pangabuhi sa Uma. Also gracing the evening was Ms. Grachele Mae Managuit, Ms. Lin-ay kang Antique 2012, who was personally escorted on stage by Flord himself and serenaded by Dante. It was quite late in the evening when we left Tibiao Plaza and, as we had a very full day of activities tomorrow, we now traveled the 17 kms. to the next town of Culasi where we were checked in at Paragon 88 Beach Resort. After a one-year hiatus, we returned to our new tradition of spending New Years Eve at a hotel, away from the noise (and the smoke pollution associated with it) of firecrackers and fireworks. More so now as I have my one year grandson Kyle with me. This time we spent it at the Dusit Thani Manila, right in the heart of Makati’s financial district. Surrounded by malls (SM Dept. Store is right across), restaurants, bars and boutiques, its location, aside from its affordability (it was the most reasonably priced of the 8 hotels I checked out), is the hotel’s most outstanding feature, it being along EDSA, one of Metro Manila’s major thoroughfares, which abounds with buses, taxicabs and what have you. The hotel is also located about 200 meters from the Ayala MRT station. Formerly the Manila Garden Hotel and, later, the Japan Airlines (JAL)-owned Nikko Hotel Manila, it was acquired by the Dusit group (one of over 22 properties owned in Thailand and overseas) in 1995 and was renamed Dusit Hotel Nikko. On April 2008, it was renamed Dusit Thani Manila. The hotel underwent an extensive US$20 million renovation which included a state-of-the-art monochromatic beige-colored repainting of its facade. In 2011, it won 15 prestigious trophies (including “Hotel of the Year”) from the Singapore-based Hospitality Asia Platinum Awards (HAPA). As I approached the hotel’s driveway, what first comes into sight is its Patrick Blanc-inspired vertical garden, with its 5-piece, 8-meter high green wall. While bringing an aesthetic beauty to the surroundings of the hotel, it also has a significant impact on environment and atmosphere as it specifically lowers the temperature at the driveway, especially when the afternoon sun rays hit the entrance. Its water feature also helps cool the air that passes through the open spaces between walls. In recognition of these efforts, the hotel received a 2012 Silver certification by Earth Check, a globally renowned organization that grades environmental standards. Upon entering the hotel’s spacious, impressive and tastefully decorated lobby (with its tall, decorated Christmas tree), I noticed the lobby’s columns which were covered in real, elegant gold leaf, just like temples in Thailand. While checking in (ultra fast to say the least), i was given a cold, herb-infused towel that refreshed me with its subtle fragrance. We stayed in an luxurious de luxe room with 2 comfortable double beds (Rm. 1153). Our room, like all the others (the hotel has 538 rooms) at Dusit Thani Manila, are equipped with state-of-the-art facilities such as LCD flat screen TVs with satellite channels, a work desk, minibar, mini fridge; in-room safe; coffee and tea making facility, air conditioning and free (and surprisingly fast) wi-fi. Our ensuite bath had a bathtub. They even offered, free of charge, a Disney-inspired baby cot for Kyle. Some of the other rooms benefit from Executive Club lounge access which offers complimentary drinks and snacks. Come 8 PM, we attended a New Year’s Eve anticipated mass at the Molave Room at the mezzanine floor. Though we didn’t avail of the the hotel’s New Year Countdown Package, we were still regaled by the fireworks display from our hotel room window which faced EDSA. As I enjoyed the pyrotechnic spectacle with my family, I thank God for bonding moments such as these and I also prayed that others would also experienced what I felt. The next day, we had breakfast at Basix, the hotel’s ground floor, 24-hour coffee shop. As the hotel was fully booked, tables and chairs were set up at the hotel lobby to accommodate the guests queuing up for a breakfast buffet of delectable international options. 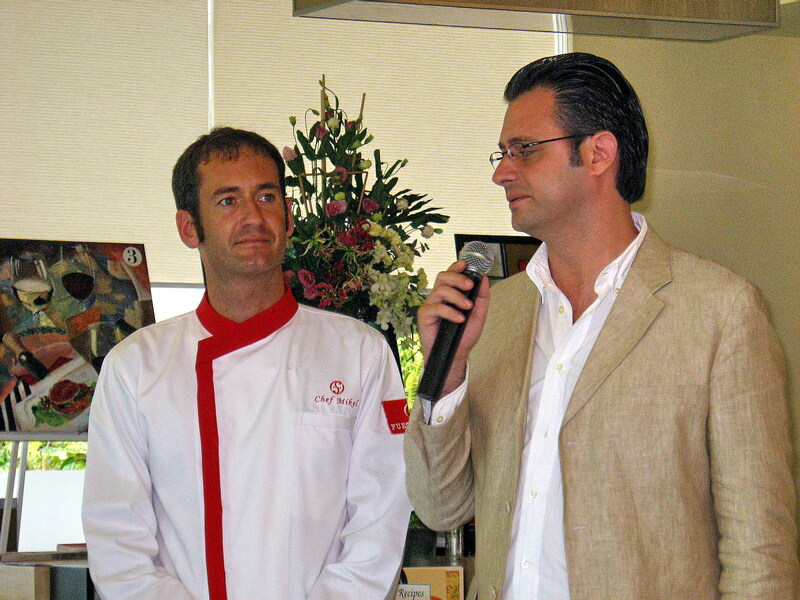 It included cold cuts, ham, bacon, cheese, bread, pancakes, fruits, etc..
Dusit Thani also has 3 international restaurants.Western Tosca Restaurant, awarded “Most Exquisite Dining Experience” in 2011, offers Italian cuisine. UMU Japanese Sake Bar & Restaurant, awarded the “Most Cosmopolitan Bar and Restaurant” in 2011 by HAPA, serves Japanese food and its private rooms offer views over the hotel’s highly-maintained and beautifully manicured Japanese Garden and koi pond. The second level Benjarong Royal Thai Restaurant, awarded “Most Authentic Asian Cuisine Restaurant” in 2012 by HAPA, serves authentic Thai dishes. The hotel also has meeting and banquet facilities; an outdoor swimming pool; spa (Devarana – awarded “Signature Spa Experience” in 2011 by HAPA); business center; VIP room facilities; flower shop; 24-hour front desk; barber shop; beauty parlor; 24-hour medical clinic; souvenir/gift shop; and wellness center (DFit). They offer express check-in/check-out; luggage storage, 24-hour room service; airport shuttle; laundry; dry cleaning; ironing service, currency exchange; shoe shine, car rental; tours; safety deposit box, massage and fax/photocopying service. Dusit Thani Manila: Ayala Center, Makati City. Tel: (632) 238-8888. Fax: (632) 238-8800. E-mail: dtmn@dusit.com. Website: www.dusit.com. I was again invited to join the second leg of the Lakbay Norte 2 media tour, this time to cover the provinces of Cagayan and Ilocos Norte. We were supposed to depart on our Cebu Pacific-sponsored flight to Tuguegarao City (Cagayan) at the NAIA 3 Terminal by 8:45 AM but rain and poor visibility at Tuguegarao Airport caused a 4-hour delay. We killed time at the airport by chatting with media colleagues and pigging out on food (we ate two meals there). We finally left Manila by 1 PM and arrived in Tuguegarao City an hour later. This would be my second visit to Tuguegarao City, though my first visit was just a short stopover at the airport on my way to Basco, Batanes. At the airport, our media group was welcomed by representatives of Department of Tourism Region II and the Cagayan North Convention and Visitors Bureau (CNCVB). We were picked up by a CEZA (Cagayan Export Zone Authority) bus and brought to the Cagayan Museum and Historical Research Center, at the Provincial Capital Compound in Tuguegarao City. Inside our bus, we tried the dumpling-like pawa, a local delicacy made from ground sticky rice with sweetened ground peanut filling, much like the angko we tasted at Camarines Norte. 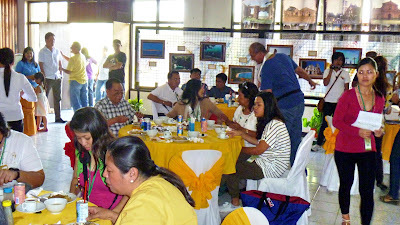 Upon arrival at the museum, we were treated to a merienda of Cagayan food fare. What a merienda it was! The food fare spread before us include pancit batil patong, rich and sweet hot chocolate, chicharabao (chicharon made with carabao fat), chichacorn and kakanin. 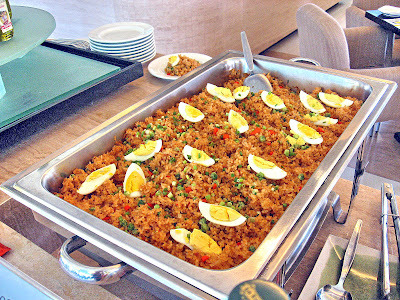 The delicious and filling pancit batil patong, a Tuguegarao specialty, was the star of the show. It was made with miki noodles and sautéed meat (either pork, beef or carabeef) and served with a sauce of fresh, chopped onions, poached eggs and seasoned with suka (vinegar), toyo (soy sauce) and calamansi (Philippine lemon). The whole assembly was topped by a fried egg. 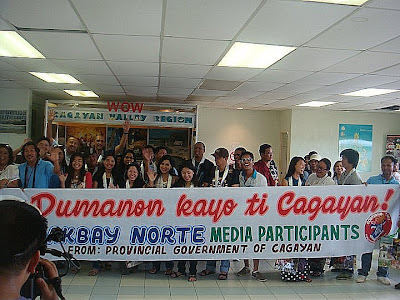 Cagayan North Convention and Visitors Bureau (CNCVB): c/o 2/F, Fragrante Bldg., 1 Aguinaldo cor. Blumentritt Sts., Tuguegarao City, Cagayan. Mobile number (0917) 578-3524. E-mail: jaimetabbu@yahoo.com. Department of Tourism (DOT) Region II: 29-A Rizal St., Tuguegarao City 3500, Cagayan. Tel: (078) 844-5364. Fax: (078) 844-1621 and 844-1736. Regional Director: Ms. Blessida G. Diwa. E-mail: dotr02@yahoo.com. Website: www.dotregion2.com. The year 2011 marks the quadricentennial of the University of Sto. Tomas, the oldest university in Asia. 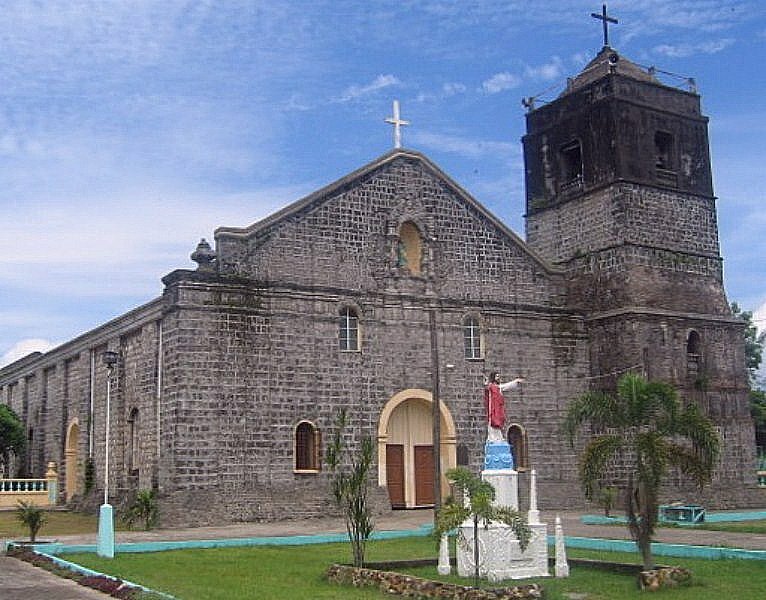 In Camarines Norte, it marks a different milestone – the 400th year foundation anniversary of the three parishes of Daet, Paracale and Vinzons. Although all these towns were founded by Franciscan missionaries in 1581, it was only in 1611 when permanent parish priests were assigned. 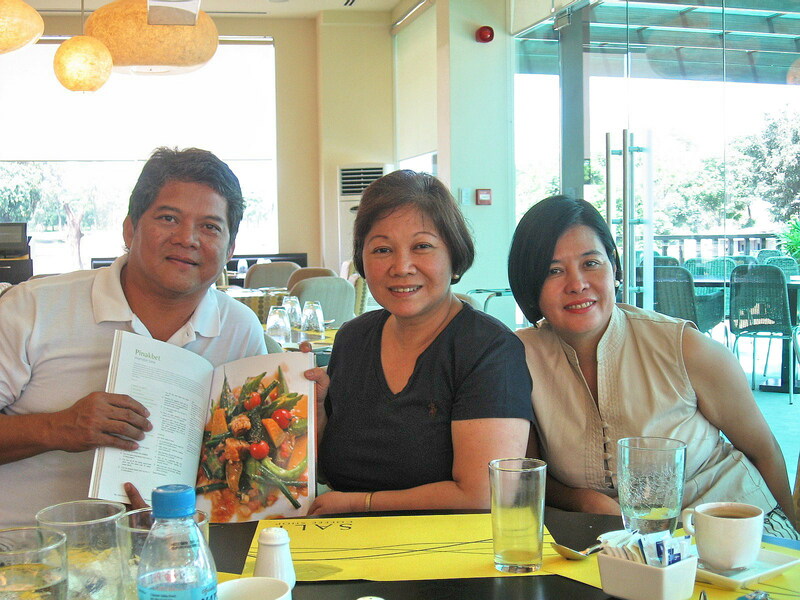 Yours truly, together with events organizer Bernard Supetran, travel blogger Mark Vincent Nunez (L.E.N.S.) and mediamen Mr. Joselito “Lito” Cinco and Ms. Kara Santos (Sunday Inquirer), were invited to cover the quadricentennial activities in these towns. All five of us met up at Starbucks in Magallanes Village in Makati City where our transportation and our hosts, Mr. Amable Miranda and Roufel “Raffy” de Vera of the Provincial Tourism Office awaited us. We left the place by 5:30 PM and the 350-km. long-haul drive took all of 8 hrs., including stopovers for toilet breaks and dinner at a Chowking outlet in Quezon, snatching sleep in between. We arrived at Bagasbas Lighthouse Resort in Daet, our home during our 3-day stay in Camarines Norte, by 2 AM and were soon checked in and back on the sack. Come morning, right after breakfast, we were picked up by Amable and Raffy to visit Bagasbas Park and the First Rizal Monument (unveiled on December 30, 1898) then meet up with Atty. Debbee G. Francisco, the Provincial Tourism Officer designate, at the Provincial Capitol as well as visit the Bulawan Museum with its collection of old photos, portraits of past governors, busts of local heroes, family heirloom pieces, numismatic collection and paintings. From Daet, we moved on to Paracale where we were to attend its Pabirik Festival which showcases the rich mining industry of the town. We next left for Labo where we checked out the Museo de Labo, the Church of St. John the Apostle and Evangelist and a showcase of the town’s handicrafts. After a few hours rest bit back at the resort, we proceeded to the town of Vinzons where we interviewed Fr. Francisco P. Regala, Jr., the parish priest of the town’s Church of St. Peter the Apostle, the oldest in the province (first built in 1611 by Fr. Juan de Losar and rebuilt at its present site in 1624). Fr. 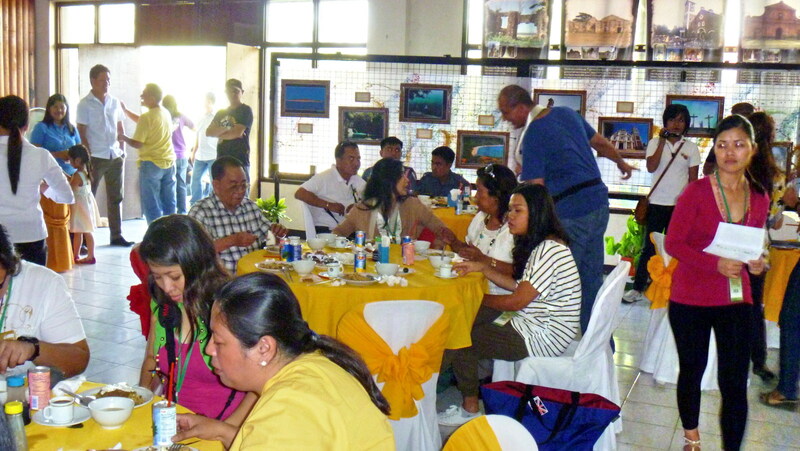 Regala, narrated in detail, the town’s town’s quadricentennial plans on June 29, the town’s fiesta. We capped this evening with dinner at the residence of Atty. Francisco where I stuffed myself full with angko, a glutinous, rice-based and thumb-size native delicacy with a filling of sweet, grounded peanuts. We left right after this as we were scheduled to leave early in the morning for overnight camping at the Calaguas Islands. That night it started to rain heavily. Provincial Tourism Office: Provincial Capitol Complex, Daet, Camarines Norte. Tel: (054) 721-3087. E-mail: come2camnorte@yahoo.com. Hot air balloons being inflated ….. Normally, Valentine’s Day is a day reserved just for lovers. At the Clark Special Economic Zone (CSEZ) in Pampanga, it is also this, plus more, as the Philippine International Hot Air Balloon Fiesta (PIHABF), the most colorful event of the year (held last February 12 to 15), also fell on the day of the hearts. 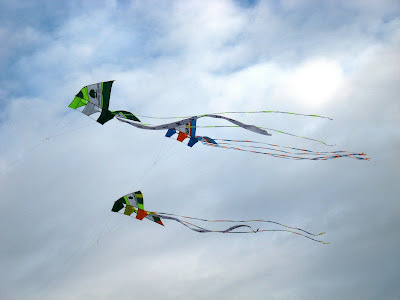 Dubbed as the “Weekend of Everything that Flies,” it is the Philippines largest aviation sports event. Until lately, this was also included in my “Must Attend” list of festivals or events. I was again about to miss out on this until an invitation to cover the event, from Ms. Grace Aquino, Marketing Communication Manager of the Fuego Hotel-managed Hotel Vida, came along, an offer too good to refuse. I brought along my son Jandy and left on the morning of the day of hearts itself, arriving at the hotel by 11 AM. On hand to welcome us was Grace and Korean hotel owner Mr. Daesik Han. The hotel was then fully booked, not just by Valentine couples, but also by about 35 balloonists from all over the world. They seem to be everywhere around the hotel; waiting at the lobby, cruising the hallway, dining at Salt Coffee Shop, lounging by the swimming pool and, later at night, reminiscing about the day’s events at the hotel’s new Malt Bar. We were again assigned a lavish Junior Suite and, after a short rest, we decided to check out the event’s afternoon activities. To enter, Grace supplied us with two PhP100 one-day passes. Now in its 14th year, the Hot Air Fiesta was first held in 1994 when then DOT Secretary Mina Gabor commissioned Korean businessman and hot air balloonist, Mr. 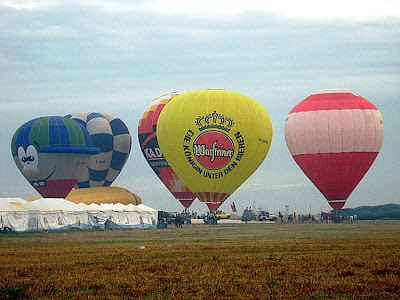 Sung Kee Paik, and Mr. John Emery, British Airways General Manager, to initiate a major balloon event in the county in the hope of uplifting the spirits of the Kapampangan people, following the devastating eruption of Mt. Pinatubo three years ago. Since then, it has been officially recorded as one of the scheduled ballooning events in the world, competing in media exposure and attention with the World Hot Air Balloon Championship (Japan) and Albuquerque International Balloon Fiesta (New Mexico, U.S.A.). Held at the 33,000-hectare Clark Civil Aviation Complex, this four-day ballooning and aero- sporting event, hosted by Clark Development Corp. (CDC), the Clark International Airport Corp., the Philippine Air Force, the Hot-Air Balloon Club of the Philippines and a host of private sponsors (including United Parcel Services, Cirrus and ABS-CBN, among others) drew more than 100,000 spectators, lining it up to be the greatest ever. More than 25 large multi-colored, hot-air balloons (topping the 19 balloons flown from 13 countries in 2008), manned by teams from Hungary, Germany, Switzerland, France, the United States, the United Kingdom, Japan, New Zealand, Thailand, the Netherlands and Malaysia, colored the skies including at least seven especially shaped balloons (one had the likeness of the cartoon character Tigger). Caltex, Yellow Cab and Kellogg’s also sponsored balloons. Around the large hangar, we had a field day taking shots of the balloon inflation in the afternoon session (up to the Night Glow) and, the next day, at 6:30 in the morning where they actually lifted off. 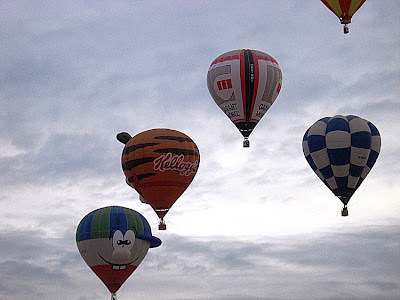 Balloon inflation is very much dependent on wind conditions with calm winds of less than 10 mph and the clouds at least 2,000 feet above the ground guaranteeing great flights. Apart from the hot-air balloon competition, the event also featured diverse flying activities such as ultra-light aircraft formation flying, Thai, Malaysian and Filipino paragliding exhibition, AFP flag jump; and a hair-raising, dangerous and thoroughly exciting and world-class stunt flying demonstration performed by the team of Captain Meynard Halili (owner of a stunt pilot school) and Bill Wright. There were also light plane rally and balloon bursting competition; PHILSCA and Ateneo de Manila model rocketry demonstration; search and rescue flying exhibitions; helicopter exhibitions and fly-by; choreographed kite-flying exhibition (courtesy of the Kite Association of the Philippines); skydiving exhibition (AFP, PNP, Thai and Philippine Team); remote control aircraft and kite flying demo; flour bomb drop (Angeles City Flying Club and Land Rover); PAF mass parachute jump (from a C-130 aircraft); and swarm flights of elite aircraft such as Citation Mustang, a single-pilot operated light jet (built by Cessna Aircraft Co.) and Cirrus SR22, a single-engine, four-seat aircraft designed with a fixed landing gear. 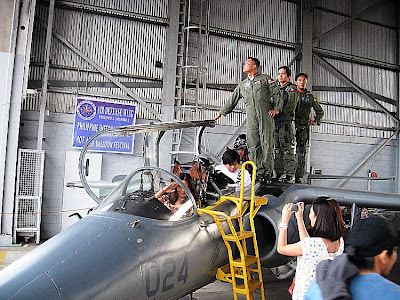 In addition, small private planes from Japan, Thailand, Singapore and Indonesia all flew in, participating in an air rally which has become a regular component of the festivities. 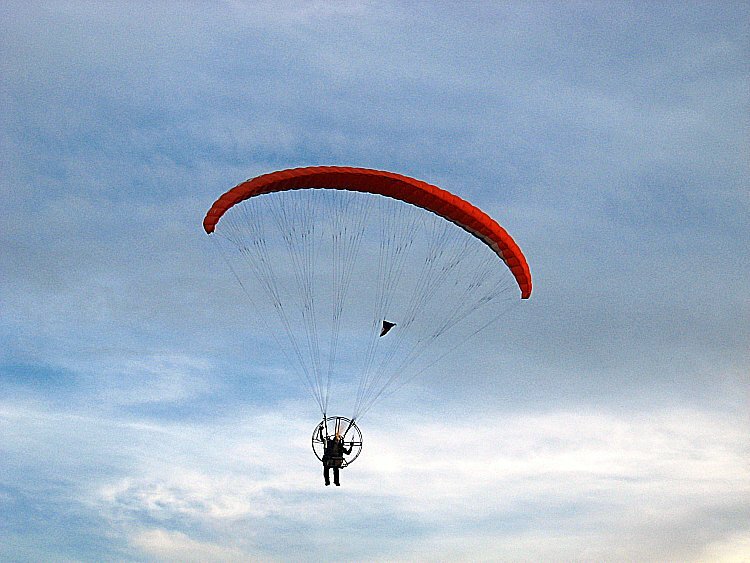 In short, just about everything that flies in the skies in and about Clark Freeport. On-site ground activities included a mini-trade fair, food plaza, daily live concerts (including a Rivermaya concert which we watched), wall-climbing and other special events. Philippines Army personnel also allowed visitors to hold and pose with automatic weapons (without ammo of course). 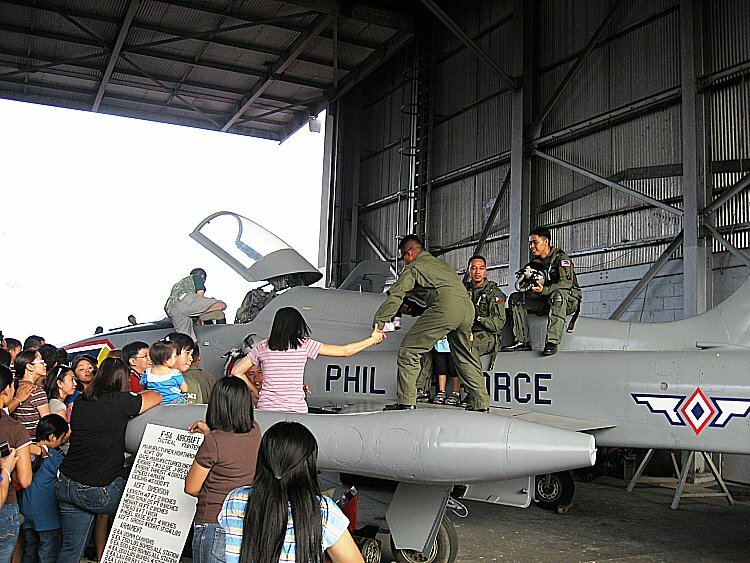 The Philippine Air Force supplied an Italian-made Aermacchi S-211 jet trainer and a mothballed Northrop F-5A Freedom Fighter, allowing spectators to pose inside the cockpits complete with flight helmets. 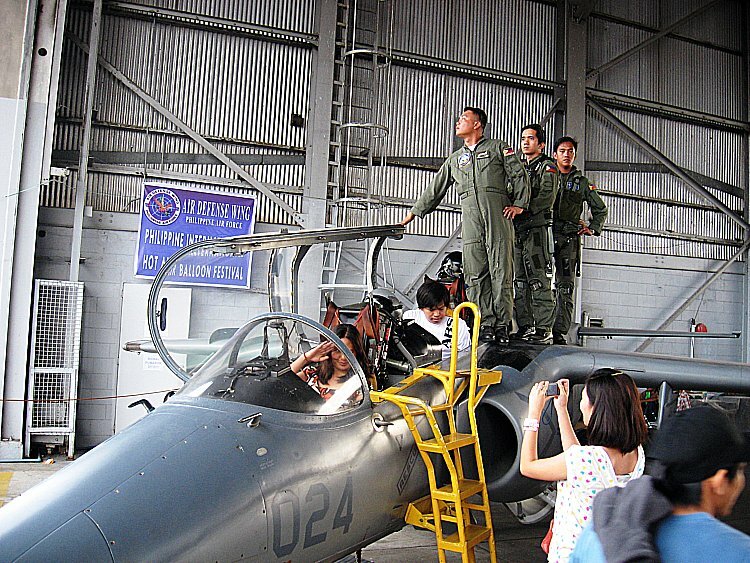 As the waiting line was long, Jandy and I satisfied ourselves by just sitting on the F-5 airframe with two PAF personnel. Also on display was a Robinson, the world’s smallest helicopter. Other spectaculars prepared for tourists included a photo exhibit, giant lanterns from Pampanga, Higantes from Angono, mini-trade fair, car show and exhibits, and fireworks display. Visitors were also allowed to fly their personal kites on the grounds. The food plaza area served good home-cooked Filipino culinary delights as well as McDonalds and Jollibee fare. 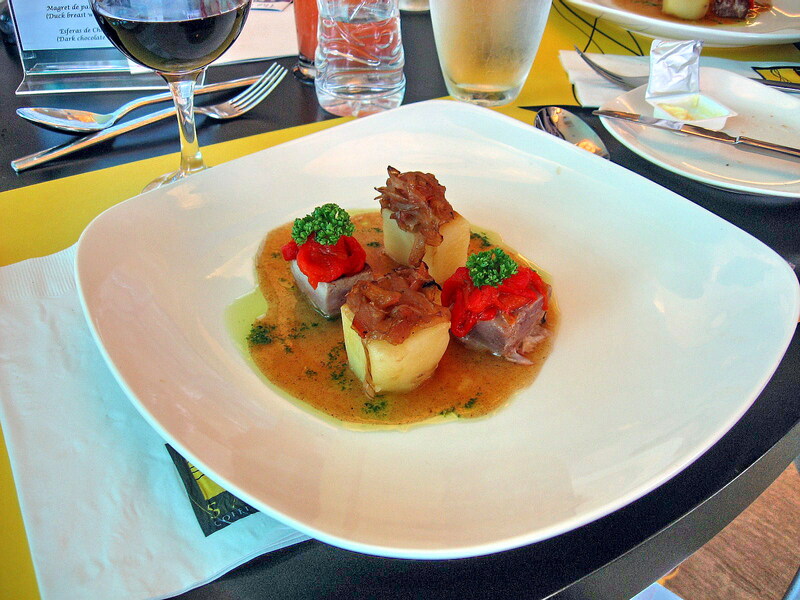 It was again “Flavors of Spain” season and I received an invitation from Ms. Mitch Garcia, Marketing Communications Manager of Fuego Hotels and Properties to attend the second edition (the first was at Rockwell Center) of this yearly culinary event at the new Hotel Vida at the Clark Economic Zone in Pampanga. I was joined, together with Mitch and her assistant Victoria “Tori” Teves-Vicente, by a media group which included fellow Business Mirror contributor Ms. Ethel S. Timbol (Dean of Philippine Lifestyle Editors) and Ms. Norma O. Chikiamco (“Filipino Homestyle Dishes” author). The trip from Ayala Center to the hotel took all of 2 hrs. and, upon arrival, we were welcomed by Korean hotel owner Mr. Daesik Han and Gen. Manager Mr. Juan Roca. 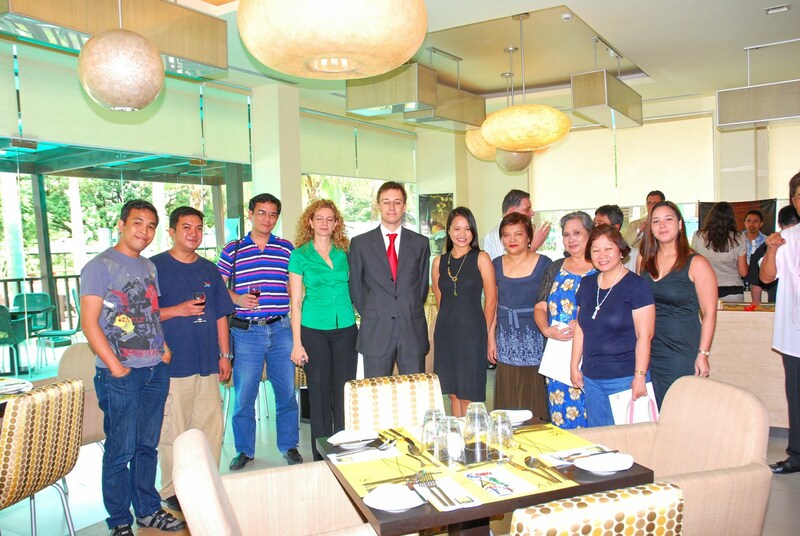 A lunch featuring Spanish cuisine and wine, hosted by the Economic and Commercial Office (headed by Mr. Javier Alvarez Casanova) of the Embassy of Spain and prepared by Club Punta Fuego Resident Chef Mikel Arriet Arruiz (again the star of this running fiesta) and his culinary team, awaited us at the SALT Coffee Shop. The set menu included fardelito de berenjena relleno dequeso cremosogranizado de remolacha y aceite de pistachio (eggplant stuffed with cream cheese, beet root crush and pistachio oil), consome de txipriones, flotante de manchego, esfereas de pimiento verde y crujiente oscuro (squids consome, idiazabal flotins & black crackers), marmi-tako (tuna & potatoes stew), magret de pato con peras al romero (duck breast with pears & rosemary) and, for dessert, esferas de chocolate con limon (dark chocolate balls with lemon). Also served was Clara Ole paella and country-style pasta. After lunch, it was check-in time and we were each assigned a junior suite at Hotel Vida (http://firingyourimagination.blogspot.com/2008/11/hotel-vida-clark.html). Later, I joined Mitch, Ethel, Norma and Grace Aquino (Hotel Vida’s Marketing Manager) in a van and visited the new Nayong Pilipino and the Clark Museum as well as did some shopping at Puregold and SM Clark (to satisfy Mitch’s craving for green mango and bagoong) before going back to the hotel. Come dinnertime, we were joined at the coffee shop by fellow travel writer, artist, culinary expert and Angeles resident Claude Tayag and his wife Maryann. After a sumptuous buffet, it was chitchat time, with yours truly and Ethel regaling (or scaring) the others with our ghost stories. The equally scared Norma also joined in with her signature Makati Medical Center elevator ghost. Our stories must have had their desired effect as Mitch and Norma switched from separate rooms to adjoining rooms. They wouldn’t even let me go until I accompanied them in the elevator (Norma is to blame here). Even so, they were so scared to go to their respective toilets. I suggested catheters. Come breakfast (Filipino this time) at the coffee shop, it was the same group all over again minus Ethel who woke up with a fever (possibly “possessed” or sinapian by a ghost?). She later joined us and the talk turned culinary with Claude at the helm. Claude is the author of “Food Tour” and co-author of “Kulinarya.” Our breakfast talk soon extended into lunch and we decided to go Asian and indulge in Korean fare which included the signature bulgogi. As with all things in life, the good times never last forever and it was time to pack up and go back to our respective homes, families and jobs in Manila. However, to soften the blow of leaving, Claude did not let us go without an early Christmas pasalubong of his signature Claude 9 inasal barbecue marinade, Oriental sauce and pure crab fat. Now that’s la vida! Hotel Vida Clark: 5414 M.A. Highway, Clark Freeport Zone, Pampanga 2023. Tel: (045) 499-1000. Fax: (045) 499-0979. Manila Office: UG-9 Cityland Herrera Tower, 98 V.A. Rufino corner Valero St., Salcedo Village, Makati City. Tel: (632) 840-1430. Fax: (632) 840-3589. Website: www.hotelvidaclark.com. The first time I’ve been to Naga City was way back in 1980 when I attended a Rotaract convention there. I wasn’t much of a tourist then as I was now. Opportunity beckoned again when I was invited by the Department of Tourism to cover its May 25 to 28 Kaogma Festival. I was to join a media group consisting of Mr. Rick Alberto of What’s On/Expat, Mr. Jess Escaros of Philippine News Agency and Mr. Alex de los Santos of Pilipino Reporter. Also accompanying us were Mr. Boyet Escueta and Ms. Susan Codotco, media coordinator and in-house writer, respectively, of the DOT’s Office of Tourism Information. We left the DOT by 11 AM on an airconditioned tourist van. All of us were in for a long haul as the trip to Naga City took all of 9 hours, passing 6 towns and 1 city in Laguna, 11 towns and 1 city in Quezon, the whole length of Camarines Norte and 5 towns of Camarines Sur before reaching our destination. Places of interest along the way include the scenic seacoast highway along Atimonan, Plaridel and Gumaca and the Quezon National Park with its winding zigzag road (locally called bitukang manok). We arrived at the city by 8:30 PM and checked in at the Villa Caceres Hotel. After a hearty supper, it was off to work as we covered the Ms. Camarines Sur beauty pageant held at the Government Center in Pili. 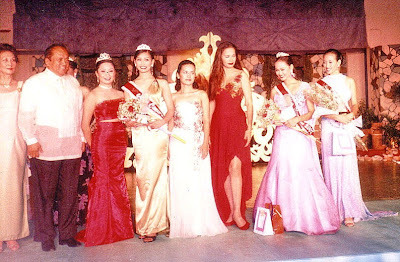 Special guest there was former Miss International Melanie Marquez. After a courtesy call on Gov. 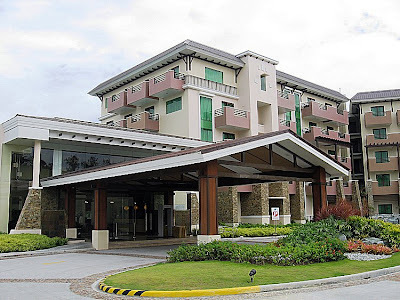 Luis Villafuerte, we called it a day and returned to our hotel for a fitful sleep. Villa Caceres Hotel: Magsaysay Ave., Naga City, Camarines Sur. Tel: (054) 473-6530 to 33 and 811-6083 to 89. Fax: (054) 473-9327. E-mail: info@villacacereshotel.com. Website www.villacacereshotel.com.